It's dark. It's raining. Ian has just been run out. We are 102 for 9. They have 19 overs to get our final wicket. It's time for a miracle. It's time to pray to whichever God you believe in. It's time for a hail mary pass. But, most importantly, it's time for Kashif and Kamuran to engineer the greatest escape I have witnessed on a cricket pitch. Lord be praised! 4th XI Friendly v Whittington CC 27th July 2013 - Just what was Dharmendra wearing? A very quick resume of today. I dislike being a skipper, most of my week is about making decisions and it would be nice to be free from having to make so many on a Saturday off. But still despite Nabil's kind offer (Number of outstanding admin issues mean it wasn't right for him) I assumed the mantle - again! the Crouch End slide began!!! It was hot. I mean hot. It was Naggers-without-his-top-on hot. Yes, it was that hot. Sizzle!!! The dilemma of what to do at the toss was once again nicely taken out of my hands, and we were in the field. Did I mention it was hot? Youth was given its head, as K&K (Kiran and Kashif) opened proceeding, with a tight 5 overs, which offered few scoring opportunities and a deserved wicket for Kiran. Then Kashif sent their opener to A&E!!!!!! 4ths vs Phoenicians - Should he have walked? And here's the winning Colts team! Massive congratulations to our fantastic team on Sunday 1st July who had an amazing win against Stoke Newington. 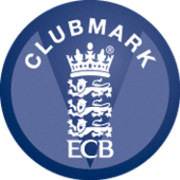 CECC 127 for 7, Stoke Newington 50 for 7 – well done boys! It was a very impressive display by all the team in both batting and fielding. When asked 'What is the proudest moment of your life?' People will often trot out the same hackneyed answers: the birth of their kids, their wedding day, the first time they weren't sick after the room started spinning. But not me, because winning a game by 2 runs with an over to go, that goes straight to the top of the list. But let's start with at the beginning with 2 firsts. Self-belief seems to be returning to the 4th XI. They were able to put out a fairly strong side which despite some moments of anxiety proved too strong for their hitherto successful opponents. For those who don't follow world cinema, 3 films were made by director Krzysztof Kieślowski, collectively known as the 'Three Colours Trilogy'. Each film loosely followed a different theme (liberty, equality and fraternity). In homage to these films (and because I hate writing reports when we lose) I will try and recreate each mini-report with a specific theme in mind. Enjoy.